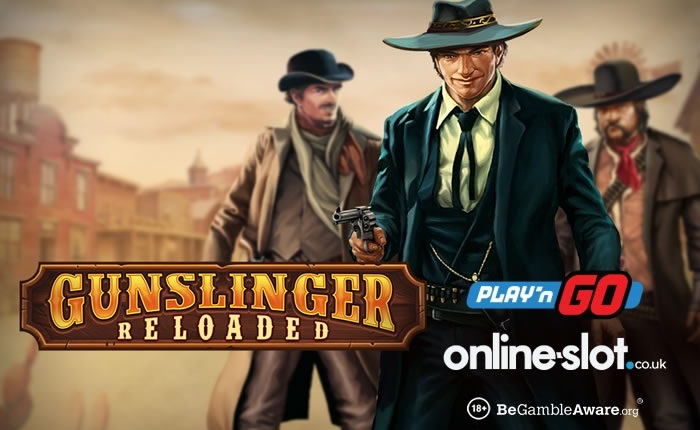 Join bandits Jessie Picket, Butch Curry and Wild Bill on a Wild West journey in Gunslinger: Reloaded slot, the latest addition to the slot family developed by Play N’ Go. Gunslinger: Reloaded slot offers 5 reels, 25 paylines and you can play it on your favourite device, whether that’s a laptop, tablet or mobile. Poker cards and chips fill up the reels as well as a sheriff’s badge, a locket featuring the bounty hunter’s sweetheart and a pouch full of gold. Land 5 of these in combination and a net 400 times stake payout awaits. With three bonus features, the amazing Gunslinger: Reloaded slot jumps even higher in my to-play list, and you can find it Here. Gunslinger: Reloaded also has a progressive jackpot in its arsenal of surprises. Land the poker hand symbols to activate the Shoot the Cards feature, which is the name of the progressive bonus feature. Then take aim for a chance to win a jackpot prize if you see a sheriff star on all cards. If you enjoy the Wild West, and all the moments full of adrenaline, then Gunslinger: Reloaded slot is definitely something you should try. The chance of earning up to 5,000 times your stake on every free spin (with the 2x multiplier activated) is something that you should give a try. For more news, releases and up-to-date info about slots, follow our Blog.